LEGO Super Heroes Knightcrawler Tunnel Attack Building Set BEST Price! Home Amazon LEGO Super Heroes Knightcrawler Tunnel Attack Building Set BEST Price! Hurry and get the LEGO Super Heroes Knightcrawler Tunnel Attack (622 Piece) today for only $27.99 from Amazon – regularly $49.99! Save 44%. This is the best price ever on Amazon. Limit 2. Build the super-flexible Knightcrawler and recover the precious Mother Box from the tunnels of Stryker’s Island! Drive and crawl with Batman’s all-terrain vehicle and reclaim the Mother Box from the evil Parademons, in this exciting LEGO DC Comics Super Heroes Knightcrawler Tunnel Attack set. The Knightcrawler features 4 posable limbs, each with 2-wheel tracks, plus dual 6-stud rapid shooters and an opening cockpit for Batman. Includes 4 minifigures with weapons including Batman’s Batarang, The Flash’s 2 Power Blasts and the Parademons’ handheld stud shooters to ramp up the role-play battle action. 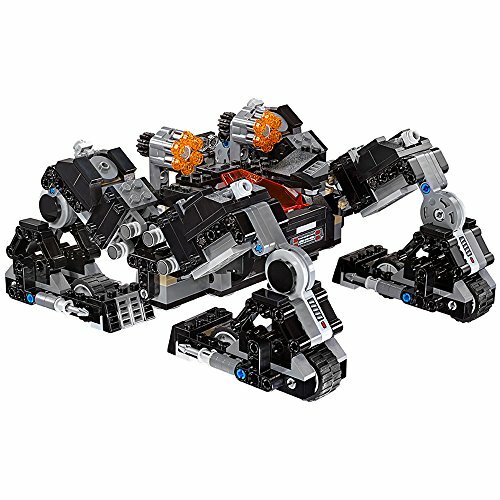 Buy the LEGO Super Heroes 76086 Knightcrawler Tunnel Attack (622 Piece) from Amazon. Previous articlePlush Blankets, Soft, Warm, Lightweight, Fleece – Low Price Alert!